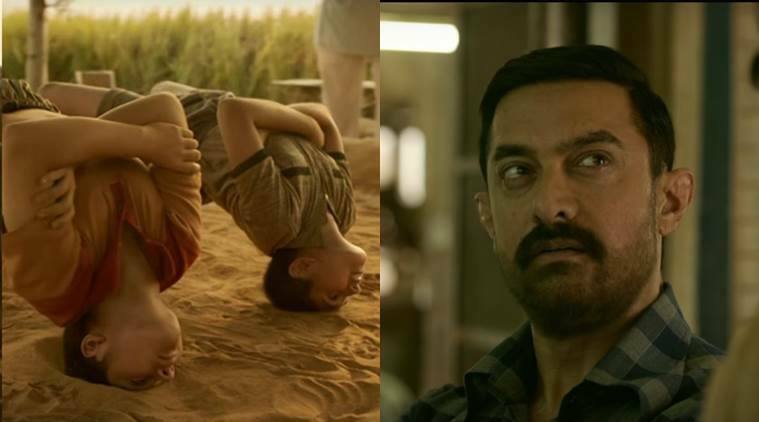 What you can learn about cracking GD/WAT/PI by watching Dangal ? 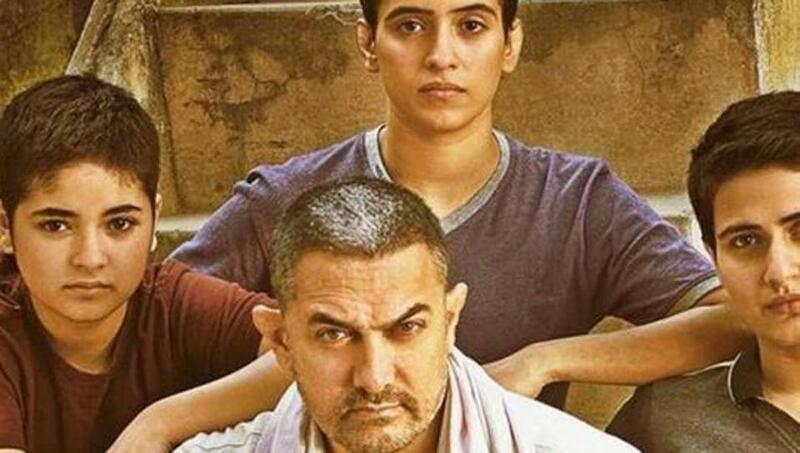 Dangal is a movie based on real life story. It’s a story of a father, a daughter and a tough battle which had been fought by a daughter to eventually realize father’s unfulfilled dream. There are quite a few remarkable moments in the movie which are very important. There are lessons to be learnt. Geeta, the daughter of Mahavir wins the National Championship, while she was trained by her father. He prepares herself for the battle. He gives her the confidence to rise above the fear at every phase. But Geeta is so engrossed with this new style, she is not in the position to realize its shortcomings. This is further bolstered by the fact that she defeats her father using the same tactics she has learned from the coach which makes her believe that they are indeed superior. In the process, she forgets the principles which won her the National Championship and she starts chasing new fancy tactics. But this proves to be a total disaster for Geeta in every international match she encounters after that. Worst of all, she doesn’t even get chance to use many of those tactics anyways. That doesn’t leave her any choice but to mend back her ways and go back to what her father taught her in the first place. A lot of times, when you score high percentile, get calls from all colleges you are hoping to get calls from, when your scores are way above cut offs, when few of your initial interviews go well, at some point you start becoming complacent, you start forgetting/avoiding things which got you success. Somehow, you start moving away from the game which brought you good results. You try to unnecessarily innovate, you try to make simple things complicated. Then you have no choice left but stick to the Principles which brought you success earlier and reclaim your lost glory before it’s too late. 2. YOU FIRST WIN IN YOUR MIND AND THEN ON THE BATTLEFIELD. Every big thing that you see, experience, touch has been envisioned in someone else’s mind long before the actual creation. When you first try to do something new, the first sign of growth is anxiety & fear. When you are traversing on the road you haven’t traversed before which has possibility to change the course of your life, when the fear is breathing down your neck, you feel that unfamiliar buzz, when you have anxious feeling in your stomach, know that you are on the right path. It’s very uneasy feeling…it occupies your mind..it is uncomfortable to go through it…but anxiety,fear are emotions of growth. If you immerse yourself in the moment, soon fear starts dissipating. 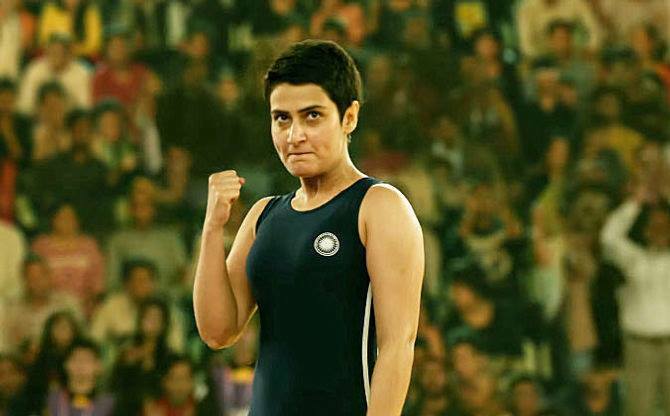 The fear/anxiety which Geeta felt when she was first told by her father she had to practice for wrestling , the fear she felt when she was told she had to fight her first Dangal and fear she felt when she had to choose male opponent (not a female one), the fear she felt when she played for Commonwealth games when she couldn’t see her father. In every case, fear was there but it was different fear every single time..it’s like upgraded fear…next level of fear. But to reach that next level, you have to conquer the fear/anxiety of the previous level. Unless, you conquer that it’s difficult to win. Before going to face the Interview (especially IIM, XL or any top B-school) it’s imperative that you will have fear/anxiety. Whether I will be able to perform, whether my performance will live up to the mark, whether I would be able to answer all the questions, what if they ask me questions I haven’t prepared for, what if I don’t get selected (I don’t want to give these exams one more time, this is the 3rd time I am giving it) all these things occupy your mind. But unless you conquer those fears, how you will be able to face the Interviewer panel ? Don’t you think the panelists are perceptive enough to get a hint ? As interesting as you might think, after working with a lot of students preparing for the Interview, I realized that whenever an aspirant is very fearful of encountering part of him/her which makes him/her vulnerable, which makes him/her feel shameful, they encounter the same questions, they have been trying very hard to avoid. It feels like Interviewers read their minds…when I was fearful of my low grad score, career gap,leaving the job, I used to get these questions every time , when I finally decided to work on them and created strategy to properly handle them, I started worrying less about them. Next time, when I got the same question, I was able to handle it pretty well and appease the interviewers unstated concerns and I didn’t get many investigative questions further that. Just like the girls who have internal BS detectors which usually tell them the intention the guy have in his mind. 3. CHOOSE YOUR MENTOR CAREFULLY. Choosing right mentor can help you in shortening your learning curve and get to your goals much faster than expected. But it’s not just about his knowledge and skills, the mentor has to let go off softness/niceness. You have to let others fight their own battles so that they can develop their character, you can’t fight for them. You are just facilitator. You should be willing to be not as much likable at least initially but that’s part of the game. You can’t avoid it. They will hate you for it. They will despise you, they will curse you…but you know that is part of the process, they just can’t see it yet. When Mahavir has to choose between being a father or a mentor. It’s a tough decision but he chooses to be a mentor first and father second. This “tough love” is much needed. In my personal experience, when I get chance to review SOP, Interview answers, sometimes/many times, I get this resistance from the students, they don’t like what I have to say, they are in denial mode. Sometimes, when I give feedback, I never hear back from many of them. But I know that I am not here to be liked. I remember the biggest growth phases in my life happened when I let go of the denial and decided to listen to the advice which was uncomfortable. It wasn’t easy, but it was long time before the truth slowly dawned on me. Because the “Feel Good” advice doesn’t help anyone, the only things it can achieve is to give other person false sense that everything is alright but it stifles their growth in the long run. 4. WHEN YOU SET AN EXAMPLE, OTHERS FOLLOW YOU. Geeta was first wrestler from India to win Gold medal in commonwealth games in 2010 and then have a look at how many gold medals India won after that. We consciously and subconsciously create our own barriers. Some are real, however many are self imposed. What’s self imposed barrier ? I am not from IIT/NIT/BITs , how can I convert any B-school call ? A lot of times, it has something to do with “Deservedness“. I don’t deserve this, I don’t deserve that….I am not good enough. Slowly, it starts becoming a self-fulfilling prophecy. Then everything seems so difficult, you get sucked into the quagmire of your self imposed beliefs, getting out of it requires re-arranging some furniture in your head. But nobody easily admits that interview is also a mental game. So once you break those self imposed barriers, unshackle the chains holding you back, you step in your A-Game. If you remember, Roger Banister who broke the record of running 100 m in 10 sec the first time when everyone else thought it was impossible and the year following that, many more broke the same record. You have the opportunity to set that first record..create example for others and if that’s not possible for you..take inspiration from someone to set another example. Again, I am not saying it’s possible for everyone but at least you can make full use of the opportunity presented in front of you. Geeta starts preparation at very early age before she starts competing into National Level Championship…it didn’t happen in few months or in few years. Mastery takes time, patience is the key. Your patience is tested at various times. it is uncomfortable period, but if you choose to embrace it, follow the process, you are going to get there, sooner or later…. Well, there are short cuts to success but don’t try to find short cuts to short cut. You have to invest in yourself, your skills…which will finally pay off in the end…but you don’t know when. As much as true I think it’s, you will find a way to make things happen. 6. DON’T THROW IN THE TOWEL. When you face the failure, it’s very tough time, irrespective of what everyone else tells you…it’s freaking tough…no amount of motivation, inspiration can make it less palpable…it can numb you for a while or can give you temporary hope/relief but eventually you have to deal with it. When Geeta starts facing defeats in her international matches….it was a moment of shame, embarrassment, disgrace for her… but this is part of the process, sometimes quite essential. But don’t throw in towel. It’s darkest before the dawn. There were times, when I had faced major failures (not just CAT & Interview), when that happens, your so called “Close Friends/Relatives/Well Wishers” suddenly vanish. They are just not there. You have to face it alone. Why it’s happening to me ? What’s wrong with me ? Why things always have to go wrong ? Sometimes just thinking of those failure make me sick to my stomach…I remember those moments. Or Hang in there, continue to work on your skills, knowledge, seek out answers…face the uncomfortable, get out of denial. How to direct your Interview towards your Strength Points ? A student from GD WAT PI Revolution Course shared his MDI experience. Background : He is a Kashmiri Pandit. M: So you are from Kashmir? What is the colour of Kashmir’s flag? Can you draw the flag? Me: Drawn and explained every component of flag. M: Who is the deputy CM of J&K? F: First woman CM of J&K? M: First PM of Kashmir? F: What happened on January 19, 1990? Me – Explained everything. Took 6 minutes . Made them understand how 400000 people fled away one night. How posters were stuck outside houses, How women were raped and tortured. M: First CM of Kashmir? M: Winter and Summer Capital? M: Where did you live in Kashmir? M: Your views on Hurriyat, Local population , Pakistan and Union of India? M: Do you wish to join J&K politics? Me- Said No not interested. But I am involved with several NGOs who work for betterment of Kashmiri Pandits. M: What are your strengths? F-Do you think Pakistan is responsible? F- What is Article 370? F- Which part of the constitution does 370 belong to? F- Did Pt. Nehru do wrong by dragging it to the UNSC? M- You must have suffered. Your family must have. How difficult was it for your family to survive post that horror? Warning : This approach may not work in all the Interviews but what’s the harm in trying it out and see what happens. If it works in your favour, that’s great. If it doesn’t, that’s fine too. It’s usually advisable not to discuss the politics during the Interview because all the time you spend on this you are not talking anything about why you are special, different and therefore valuable to the school. Along with there were other few students from GD WAT PI Revolution, including Aastha( IIM-Lucknow) , Suraj (IIM-Bangalore) and many more who used this strategy to their advantage. I have included their detailed case studies inside the course. 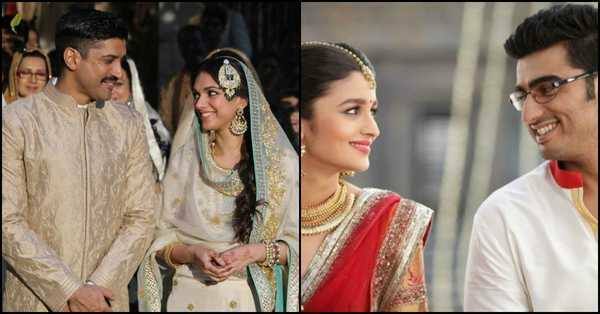 How do you know when someone had love marriage or arranged marriage ? 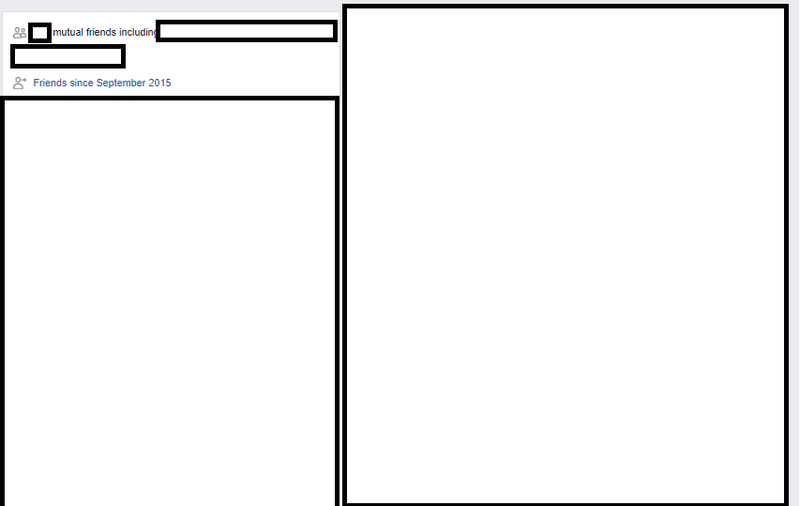 When marriage update pops up on your facebook wall, click on “See Relationship“, what do you see ? Did they just become friends 3-6 months before marriage. Probably an arranged marriage. If that is not the case, look for their engagement date, see if they became friends just 3-6 months before engagement. Probably an arranged marriage. This works wonderfully well in most of the cases if not all. Let’s play a fun game. Want to find if any of your friends did Arranged or Love Marriage ? Oh wow, they are friends for long time..more than 2 years, probably love marriage. Less than a year, probably an Arranged Marriage. However, I don’t think love marriages are more successful or otherwise but that’s not the point. There is striking similarity, when I reliably know how someone’s interview is going to be. It is not 100% accurate. It gives you pretty good idea. By glancing at their SOPs or reading their Interview Answers. YES. This is much more reliable test than Arranged or Love marriage test. Just reading few answers or few statements in their SOP, I can get pretty good idea. This has nothing to do with percentile as most students believe. Yes, if you have better percentile, the chances of you writing bad SOP or Interview answers reduce to some extent but not that much as you might think. So how to improve your odds of converting the calls ? By improving your SOP and Interview Answers. Why conventional interview strategies are not working anymore ? How to direct the flow of your Interview ? How to Structure SOP for Maximum Impact ? How to use Vulnerability in a correct way to deeply impact the Interviewer Panel ? How to Convert More Calls by Studying Less but Smarter ?